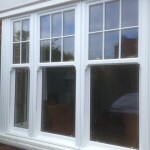 Based in Mitcham, Merton Windows and Doors works for residential, commercial and industrial customers in Ewell, Stoneleigh and the surrounding areas. With 50 years’ experience in the world of glazing, our team have the expertise and knowledge to take on any double or triple glazing installation project. We pride ourselves on being highly reputable with an excellent track record, with many happy customers in your local area. 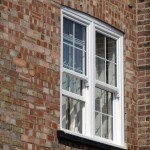 We offer a superb selection of uPVC, timber and aluminium windows in a range of styles, including box sash windows and casement windows. With an array of accreditations and trusted partners associated with us, including FENSA, you can rely on Merton Windows and Doors! All our windows, doors, porches and conservatories are second to none with superior security and locking features, excellent energy efficiency ratings and beautiful aesthetics. We know that having replacement glazing products can often be a daunting and costly project and our products are always delivered on time and installed to the highest quality, at very competitive prices. 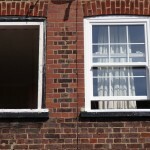 Please ring us on 0208 542 2233 and we will be delighted to arrange a site survey and consultation. Over the years, Merton Windows and Doors, has responded to changing customer tastes and demands. We supply and install the best most efficient and innovative products the market has to offer. 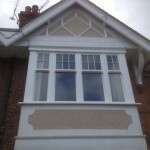 In the past the only way to replace traditional timber sash windows and keep their authentic appearance was with another timber sash window. 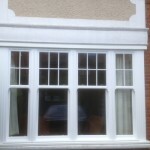 Now there are other alternatives and alongside replacement timber vertical sliders we can supply and fit sash windows manufactured in uPVC and aluminium. 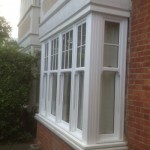 Contact Merton Windows and Doors for all new and replacement sash windows, casement windows, timber windows and more! For a free no-obligation consultation and quotation, please ring 0208 542 2233, email us on [email protected] or fill in an online enquiry form.